1. This website is produced and maintained by the Leisure and Cultural Services Department (LCSD), the Hong Kong Special Administrative Region Government of the People's Republic of China. 2. Please download the latest version of the Acrobat Reader to view the PDF files in this website. 3. Leisure and Cultural Services Department is committed to ensuring that our website conforms to the World Wide Web Consortium (W3C) Web Content Accessibility Guidelines (WCAG) 2.0 Level AA requirements to the maximum extent possible. However, some web pages with archive materials or multimedia contents may not incorporate all the accessibility features. 4. We are always keen to improve the accessibility of our website. Should you have any views on or experience any difficulties in accessing information on our website, please contact us at 2414 5555 or by email at enquiries@lcsd.gov.hk. 5. The information provided by the Government of the Hong Kong Special Administrative Region ("the Government") on this website ("the Government's information") is for reference only. Whilst the Government endeavours to ensure the accuracy of the Government's information on this site, no express or implied warranty is given by the Government as to the accuracy of the Government's information. 6. This website also contains information input by other parties and users may link this site to other sites and obtain information provided by other parties (collectively called "the other information"). The Government expressly states that it has not approved nor endorsed the other information contained in or in connection with these sites. 7. The Government does not accept any responsibilities for any loss or damage whatsoever arising from any cause whatsoever in connection with this website. The Government is entitled to delete, suspend or edit all information on this site at any time at its absolute discretion without giving any reason. Users are responsible for making their own assessments of all information contained in or in connection with this site and are advised to verify such information by making reference to its original publication and obtain independent advice before acting on it. 8. Translation of pages on this website is performed by Google Translate, a third party service which LCSD has no control over. The service provides automated computer translations that are only an approximation of the websites' original content. The translations should not be considered exact and only used as a rough guide. LCSD does not warrant the accuracy, reliability or timeliness of any information translated by this system and will not accept liability for loss incurred as a result. Some files, and other items cannot be translated including but not limited to graphical buttons, drop down menus, graphics, and photos. In addition, some applications and/or services may not work as expected when translated. Please click HERE if you have any questions about Google Translate. 9. This map is not produced or maintained by LCSD and LCSD does not guarantee it to be free from error or omission. LCSD and its employees disclaim any liability for any act done or omission made on the information on the map and any consequences of such act or omission. Please click HERE if you have any questions about Google Map. 10. The content available on this website, including but not limited to all text, graphics, drawing, diagrams, photographs and compilation of data or other materials are protected by copyright. Unless otherwise provided, the Government of the Hong Kong Special Administrative Region is the owner of all copyright works contained in this website. Any reproduction, adaptation, distribution, dissemination or making available of such copyright works to the public is strictly prohibited except under the conditions specified in the clause 11 below. 11. 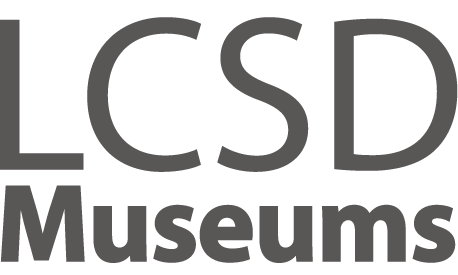 By accessing Hong Kong Public Museums (www.museums.gov.hk) ("HKPM") or any of its webpages, you unconditionally agree to the terms of this Copyright Notice, which may be modified and/or supplemented from time to time by the LCSD without prior notice. Please check this webpage regularly for any modifications and/or supplements. 13. Please note that the permission given in clause 11 above only applies to Government copyright protected text content found on HKPM. The Government reserves the right to withdraw any permission given in clause 11 above at any time without any prior notice. 14. If third party copyright is involved in the text content found on HKPM, authorisation or permission to reproduce, distribute, or otherwise use any such text content must be obtained from the copyright owners concerned. 15. Content on Linked Websites - for the avoidance of doubt, the permission given in clause 11 above does not extend to any content on other websites linked to HKPM. If you intend to reproduce, distribute or otherwise use any contents on any such linked websites, you shall obtain all necessary authorisation or permission from the copyright owners concerned. 16. This Copyright Notice has been translated into Chinese. If there is any inconsistency or ambiguity between the English version and the Chinese version, the English version shall prevail. 17. You acknowledge and agree that the Government shall not be responsible in any manner for direct, indirect, special or consequential losses or damages howsoever arising out of the use of this website. The Government does not guarantee that any messages sent over the Internet will be completely secure. The Government does not accept any responsibility for any damages incurred by you if you send a message to us, or if the Government sends a message to you at your request, over the Internet. Communications over the Internet may be subject to interruption, delayed transmission due to Internet traffic or incorrect data transmission due to the public nature of the Internet or otherwise.